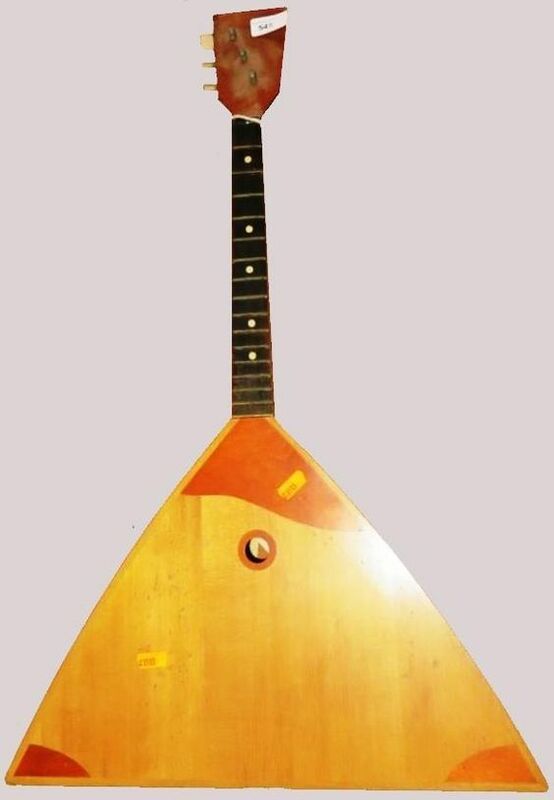 and I am happy to have invited them but it must be said that the Balalaika is not what you would describe as a quality instrument. I would say tourist tat quality but it is a bit plain for Tourist Tat, (I have seem a lot of tourist made ones with garash pictures of Russian peasantry painted on the front). It has the three plug type bridge pins but no bridge, (I got hopeful when it arrived as there was enough of a rattle inside to make me think the bridge had go in through the tiny soundhole but after a lot of messing about, did I say how tiny the sound hole is? about the ring size of my little finger anyway when it finally came out it was not the bridge but a large safety pin; vey punk but still not quality - and I still need a bridge) I can buy a Balalaika bridge but I think I will try with a spare 5 string banjo bridge and see if it is worth it first. There is also no apparent reinforcement so the steel strings will cut into the base once they are put under tension. I really liked the Guitar, right up until the top E string broke and looks wise it certainly is lovely but my brother, who is a much better guitarist than me, had a go on it (with 5 strings) and said about the tone being rubbish. It might of been his style not agreeing with the guitar but listening to him play I kind of agree with him! Still it clearly needs new strings and maybe with those and softer playing it will sound better?